The SOG Trident II model TF-22 is very functional and performed a notch above most pocket knives. This knife has extra features that set it aside from most knives, like assisted opening, dual ambidextrous thumbstuds, integrated safety lock, and a the ability to cut something without even being opened. Take note to the notch in the handle. The notch allows you to cut simple things like string and cord without opening the knife. 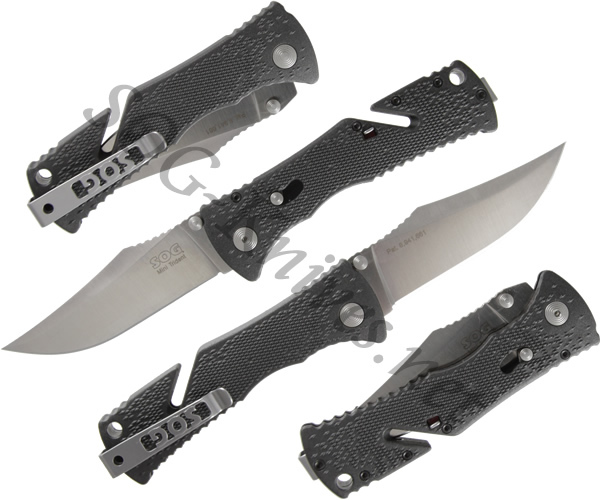 The bayonet style pocket clip on this knife allows you to carry it nice and deep in your pocket. Own a SOG Mini Trident II Knife TF-22? Tell us how you like it! Got a question? Ask! Somebody will answer!